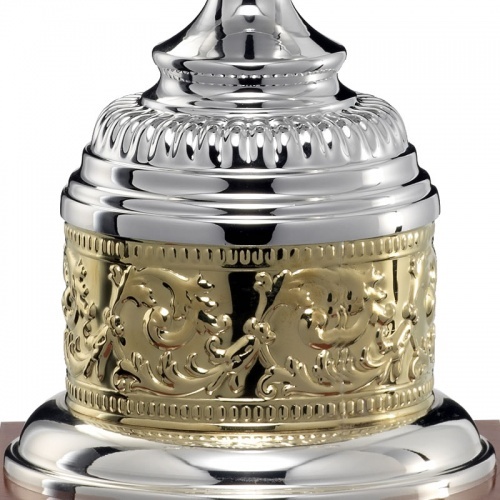 Premium quality trophy cup featuring silver plated body with decorative band and ornate handles, on tall fluted foot with large band of gold plated decoration. The trophies are set on a square shape wood plinth and can be engraved on the body and/or a plaque attached to the wooden plinth. 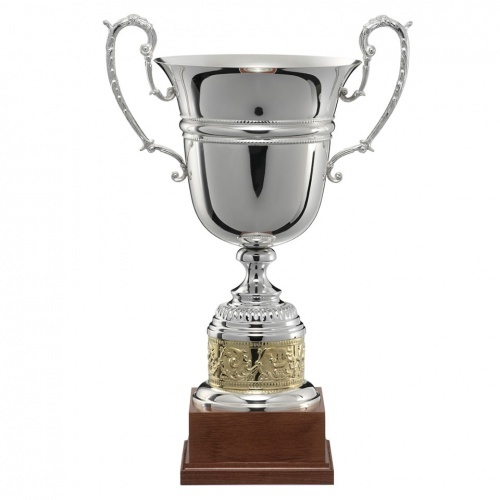 They are available in three sizes up to an imposing 24.75in (63cm).